Privates/Semi-privates are available for children (5+), teens & adults . .
the end of the year. The Beginning Castanets Class is on hold until further notice. Thank-you to all that tried the class and to all the current students for their dedication and creativity. 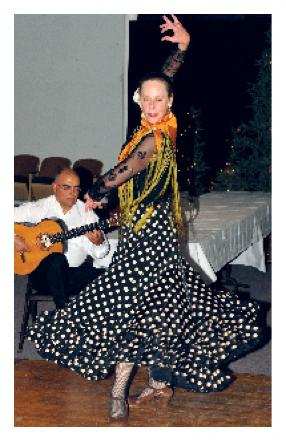 It is my deepest joy to share my passion for flamenco and to dance and play the castanets. I feel deep gratitude for all the students and mentors that have made this journey one of deep reflection, creativity and love. registration or any other info. Home Studio Classes - payment for the month, in advance, is requested.